﻿ Gold Coast Hotel, Da Nang | FROM $22 - SAVE ON AGODA! "The included breakfast buffet was also very nice." Have a question for Gold Coast Hotel? 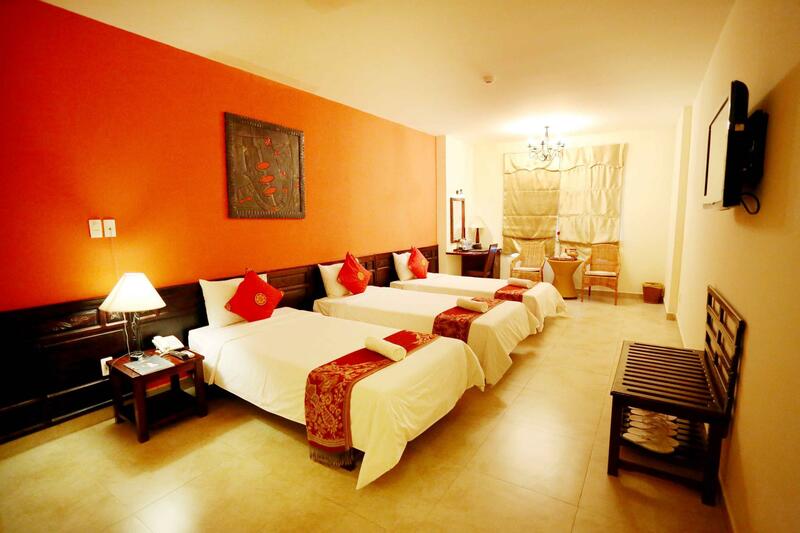 "Our stay at the hotel was very satisfactory." "Very nice supporting and friendly staff." 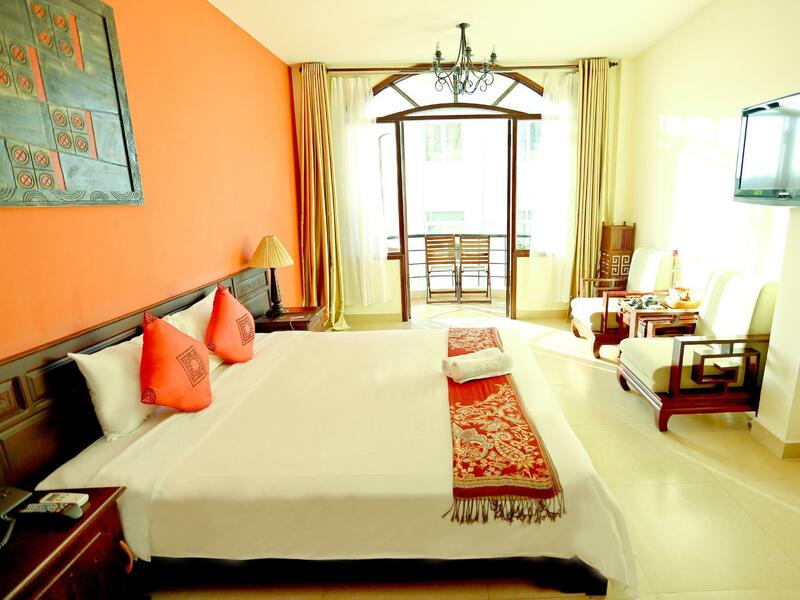 "Nice place near spas etc good food etc"
"We were too late to dine there but the menu was varied and g..."
This prominent 3-star hotel is nicely located along stunning Danang Beach, voted by Forbes Magazine as being one of the most luxurious beaches in the world. 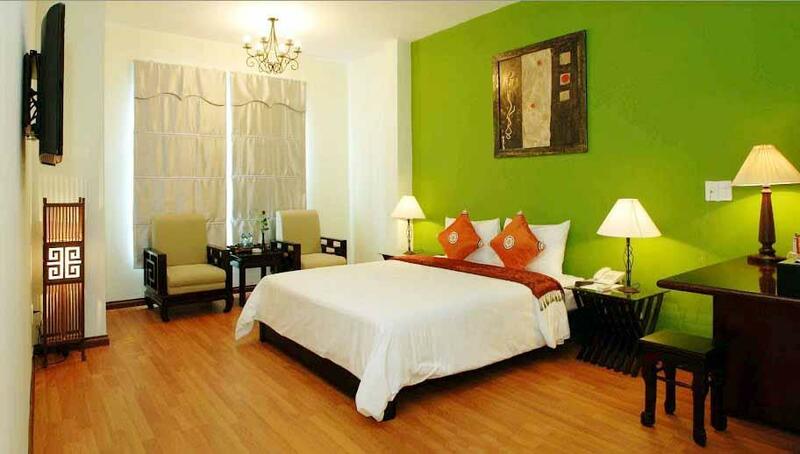 Guests are within easy reach of Dangnang International Airport which is just three kilometers away. As for some enjoyable sightseeing, World Heritage sites such as Hoi An Ancient Town, My Son Holyland, and Hue City are nearby. Visitors can enjoy the beautiful landscapes with the Bana Mountains at the north and Marble Mountain at the west. The property boasts modern architecture and French-styled interior design, providing an exclusive retreat with tastefully decorated rooms. For a relaxing afternoon, guests can enjoy lounging by the pool and soaking in the sun. Other services include massages and a steam bath, a restaurant, and conference rooms. 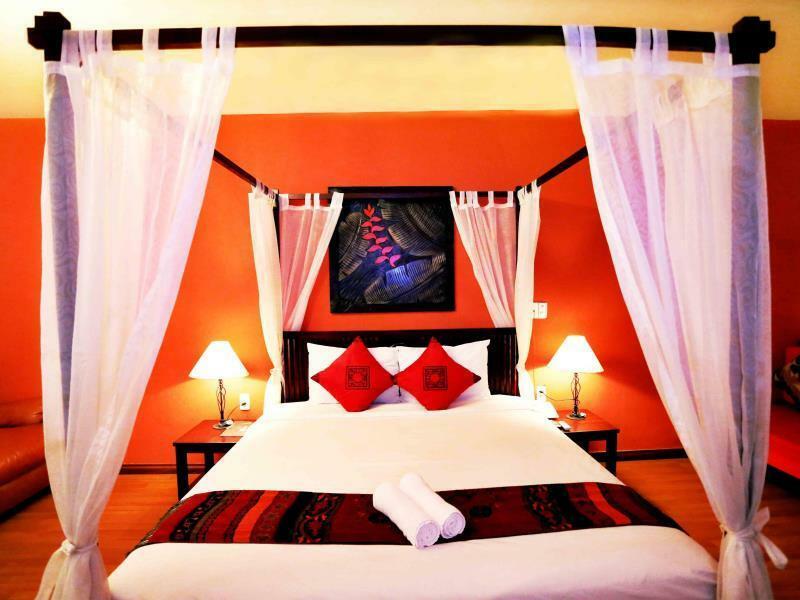 Gold Coast Hotel provides a comfortable stay in a tranquil setting. "Hotel got a pool, buffet for breakfast and free wifi!" The Gold Coast is an excellent value, very inexpensive for it's amenities. 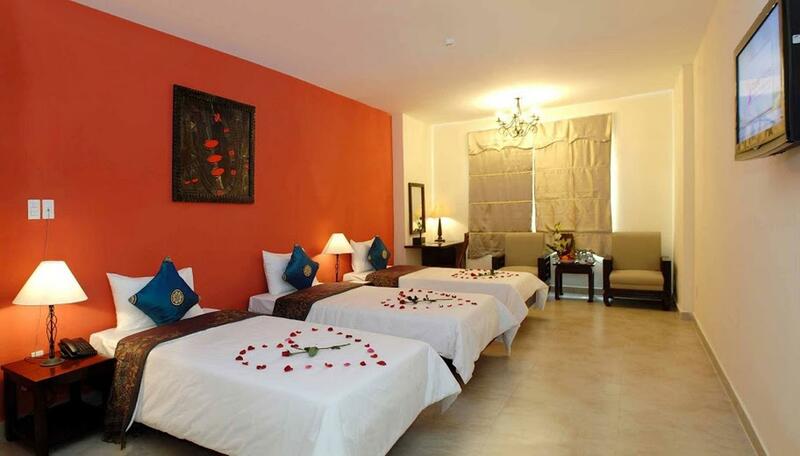 The rooms are large and well appointed, with nice balconies, AC, Fridge, etc. It has a beautiful pool, however, for my taste, it was a bit cool. To be fair though, I'm really picky about pool temperature. The included breakfast buffet was also very nice. But the staff? Excellent! All were very kind and extremely helpful. There was nothing we wanted for. I would definitely rate it higher than it is being rated. Daniel C.
We were on a company trip. We knew we'd be out and about more than hanging at the hotel like a resort. So this place worked out perfect. Securre, clean, comfortable and value for money. We didn't really try the food there as we mainly ate outside but highly recommend for group travelers!!! Accommodation: The room is ok, seems to be clean. Aircon is working. Bathroom seems ok, the toilet is clean and sealed. Internet is extremely slow. Location: horrible. Seems to be somewhere in the suburbs of the city. Rubbish on the streets, nice bar or restaurant to be found nowhere. It was really a pity. Far from the city center (at least six kms) and far from the beach. Personnel: The staff is helpful and friendly. Some of them do speak and understand English, some of them don't. Overall we were satisfied with the staff. If you're looking for a nice hotel in a nice neighbourhood, look further. If you're looking for a hotel close to the beach, look further. We arrive in this hotel in April 2011. The staff in the hotel is extremely helful. 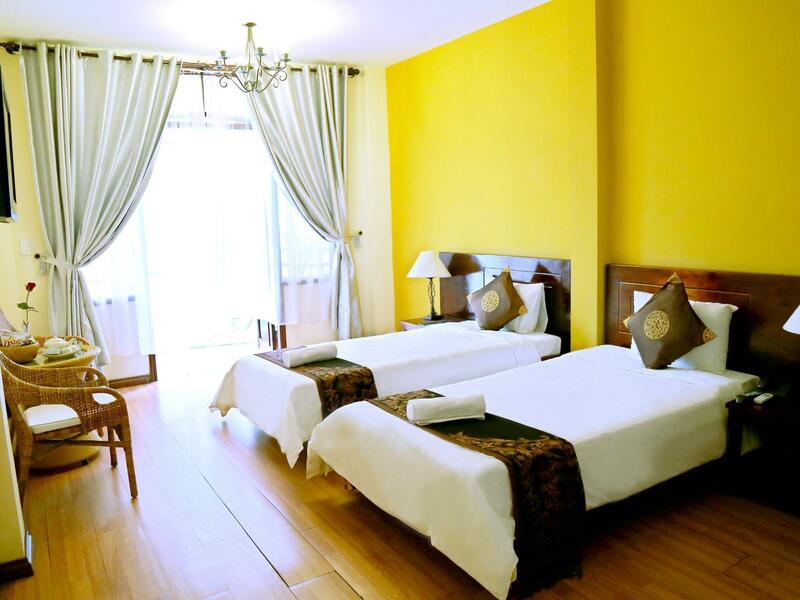 We get a car also booked from this hotel to take us to Danang around and Hoi An.The hotel also have swimming pool that we can use in the morning. We are enjoyed our stay in the hotel and recommend this hotel to other visitors and friends as well. Worth your money if you stay in this hotel. The only concern is the location which is a little bit far from the town but is walking distance to beach. The room is spacious and full with aroma smell. Excellent. Room is clean but unfortunately for me, the teapot is not clean as still contains used teabag. However, I am still recommending this hotel!!! As you draw up outside Gold Coast Hotel you know that it is going to be good because it presents as stylish and cared-for. Its attractive reception area is complemented by charming staff, while attention to detail is evident in the most appealing pool area (especially in night lighting) and in the traditional carvings around the lift. 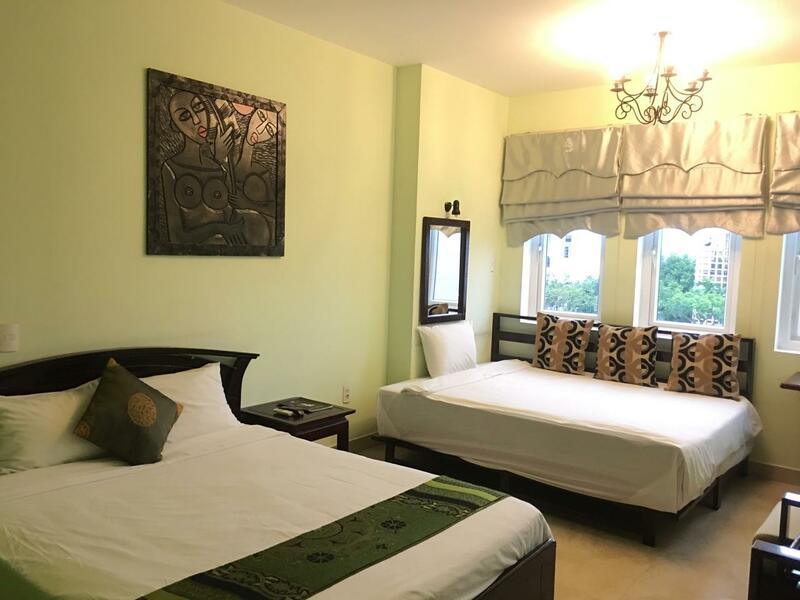 All 3 bedrooms proved a visual pleasure for our mixed-age family group, as well as providing a most comfortable rest, while breakfast was tasty and reception staff so obliging by keeping our luggage while we visited the Marble Mountains. And it's so reasonably-priced!! We were too late to dine there but the menu was varied and good value. 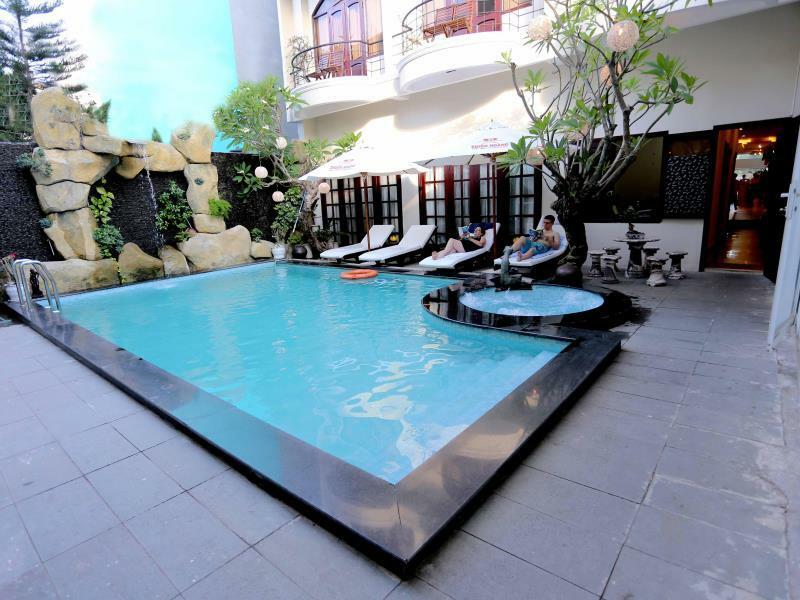 Good price for a clean hotel which has a pool and includes free breakfast. Cons: breakfast not that tasty, pool is in the middle of everything south a lot pedestrian traffic so not really private enough to use. Hotel is also a bit far from the city centre. The main reason why I chose this hotel was that there was a swimming pool however it turned out to be really disgusting. It's like it had not been cleaned for ages!!! I could pay less for a hotel without a pool so I felt my money was wasted. The breakfast buffet is insufficient as they don't refill the food, the shower has a poor pressure and the TV channels are not clear.Language has caused so much confusion especially the Hotel Massage service.Paid upfront before the massage, kept us waiting about 15 minutes, only massage about 10 minutes and request for more payment.As promised, 45 minutes massage and 15 minutes of sauna.None took place except for long wait and poor service. Excellent hotel. It is rated as 3 stars but could easily have at least one more. For per night for triple room it is an excellent deal. Only drawback is its location which is quite remote from the main points of interest in Da Nang. The hotel is lovely, really big and really clean with a nice pool. It is however a taxi ride away from the bars and dragon bridge but its really cheap! The only problem was the food, we paid for breakfast and it was Shocking, cold stale food which was not right for breakfast. I went down at quarter to 9 (it finished at 9) and there was no bread or eggs left (all I would eat there) and when I asked for some them said no breakfast was over, they wouldn't even give me bread! The pool is nice though and the rooms really are lovely. We had a lovely room with a balcony overlooking the pool, the room was great. The pool was nice for a refreshing dip. The beach is a 15-20 minute walk away and it's about 80,000VND to get into Da Nang by taxi. The yellow bus number 1 goes along the main road by the hotel and will take you to either Da Nang or Hoi An for 20,000VND. Our favorite hotel in Vietnam! Apart from stuff I already mentioned (nice staff, great breakfast buffet with lots of traditional Vietnamese foods, refreshing pool), it is very close to Marble Mountains, the main reason we came to Da Nang. Recommended! I have stayed in this hotel 2 years ago and I had no comlplaints, so I left a positive report. The Location for me was good, I did not want to stay in the city. This time, I did feel that there was a lack of good food close to the hotel The staff keep this hotel clean and tidy. But, unfortunatly I feel it has deteriated due to lack of maintanance, there are many small things Just small things that need tender loving care and proper maintance and/or replacement. Without going in to fine detail, one just needs to look around and you will notice where attention is required. I think the longer you stay in this hotel the more you will notice. I will give 100% for the staff, they were always friendly and tried to help, they are a credit to the hotel. Now, will I stay there again? . . . . . . mmmmmm. . . I think I will look at another hotel. This hotel is more for business travellers but the rooms are large and clean and we had the pool to ourselves during our stay. We were on the fourth floor and sleep quality and beds were excellent, the breakfast was pretty good too. Staff were attentive and helpful, especially with onward travel. On the down side the wifi was very patchy (if it worked at all) on the fourth floor and there is nothing at all around the hotel within walking distance so renting a bike is essential unless you want to take taxis everywhere. 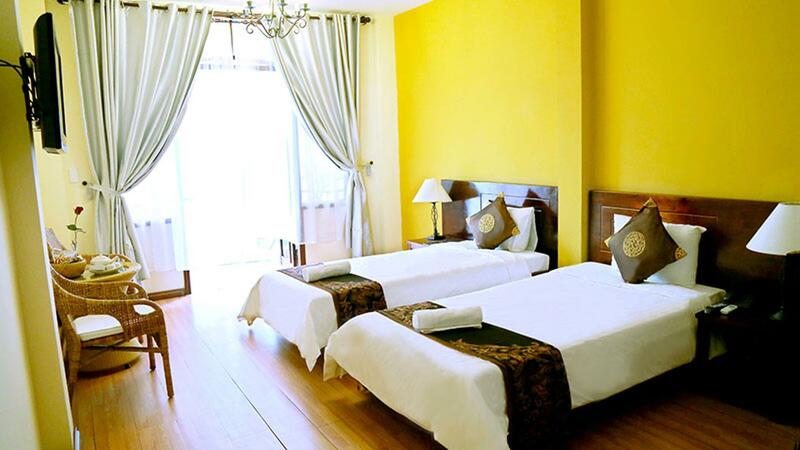 Danang is really best explored on two wheels and this hotel makes a good base.